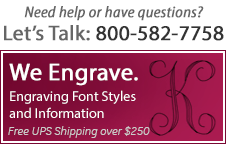 In the late 1700's, the House of Representatives sent a letter to each of the colonies criticizing King George III. 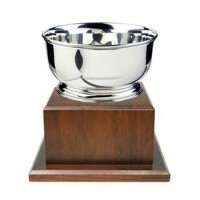 The King demanded that the letter be rescinded, and 92 members of the House voted in defiance not to rescind. 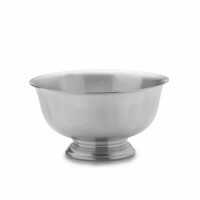 15 members of the Sons of Liberty commissioned Paul Revere to design a gift to the House to thank them for the support, and in 1768 the Paul Revere Bowl was born. 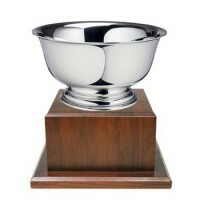 The original, Paul Revere bowl is engraved with the names of the Sons of Liberty, now rests in a place of honor in the Boston Museum of Fine Arts. 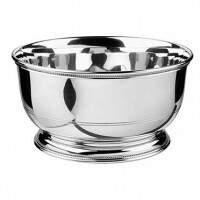 To this day, the Paul Revere bowl, or Revere Bowl as it is now known, remains a cherished gift and a fine acknowledgement of service. 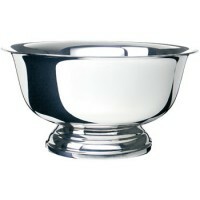 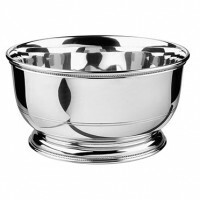 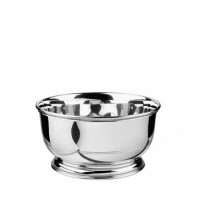 Any of these exquisite bowls may be engraved with names, dates or even your company logo. 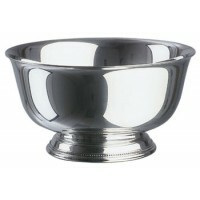 Give us a call if you would like a number of bowls engraved - we will be glad to provide expert assistance. 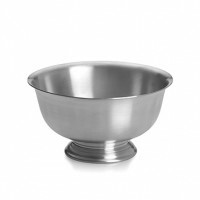 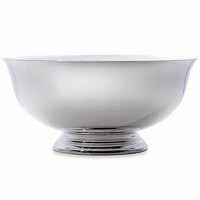 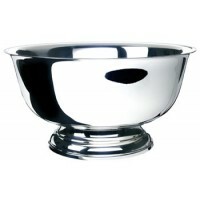 Empire Pewter Extra-Large Revere Bowl - 10"
Salisbury Images of America Pewter Revere Bowl - 4.5"
Salisbury Pewter Images of America Revere Bowl - 5.5"
Salisbury Pewter Images of America Revere Bowl - 7.5"
Salisbury Pewter Images Revere Bowl - 4"
Salisbury Images Pewter Engravable Revere Bowl - 5"
Salisbury Images Pewter Revere Bowl - 7"
Empire Pewter Medium Revere Bowl - 6"
Empire Pewter Small Revere Bowl - 4"
Salisbury Sterling Silver Revere Bowl - 10"
Salisbury Sterling Silver Revere Bowl - 8"